For many years considered an amateur painter, collector and patron of his Impressionist friends, Gustave Caillebotte (1848-1894) is now counted among the group’s most important members. He painted his first studies of gardens and nature on the family estate at Yerres on the outskirts of Paris where he discovered his love for and interest in painting. In 1872 Caillebotte received his first classes in Bonnat’s studio and when he was invited to take part in the second Impressionist exhibition in 1876, he started to help both his friends Monet and Renoir and other artists by buying their works and organising exhibitions. 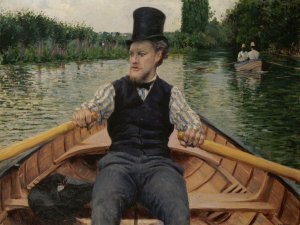 Caillebotte’s death aged only forty-five brought an abrupt end to an artistic career that was still evolving. His early death, combined with the stir caused by the major bequest of French painting that he made to the French State, eclipsed the profound originality of his work. 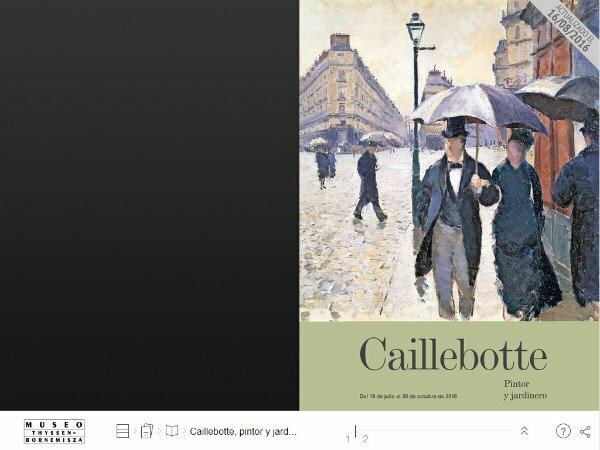 Caillebotte, painter and gardener, an exhibition organised in collaboration with the Musée des impressionismes Giverny - shown between 25 March and 3 July 2016 – offers an in-depth analysis of the theme of the garden in the artist’s work as well as Caillebotte’s relationship with Claude Monet. The exhibition is organised into four sections that focus on the places where the artist lived and worked: Haussmann’s Paris: a mineral universe; Summers at Yerres: 1861-1879; The Seine and trips to Normany: 1880-1888; and Le Petit-Gennevilliers: 1888-1894.